Join us at Taggarts Volvo Glasgow for our Easter Event, and take advantage of our exclusive offers on New and Used Volvos. Plus bring the kids along to take part in our Easter Egg Hunt and be in with the chance of winning our Luxury Chocolate Easter Egg! We have low rate finance available on selected Used Volvos, with many available at 5.9% APR Representative** PCP Finance. Plus Selekt Used Volvo V40 is available with a £750 Finance Deposit Contribution when financed with 10.9% APR Representative PCP Finance. Selected New Volvo's have an extra £500* Finance Deposit Contribution plus 3 Years Servicing for £399, during our Easter Event; please view our New Car Offers below. Enquire now or come and visit us at one of our Dealerships during our event, and join in the Easter fun. *Additional £500 Finance deposit contribution available on selected new Volvos purchased with finance and ordered between 19-22 April 2019 for registration by 30th April 2019. 0% APR representative available with new Volvos. 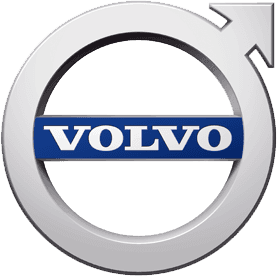 ** 5.9% APR representative available with selected used Volvos. Finance subject to status. Terms and Conditions apply. Over 18s only. Taggarts Volvo is a trading style of Lookers Motor Group Ltd who is acting as a credit broker and not a lender.​ 3 Year Service Offer: The retail service is for 3 years, 54k miles, whichever occurs first and includes 3 services at a cost to the customer of £399 incl. VAT (£332.50 ex VAT).